Also up on display at CES is Dell's curved UltraSharp 34 (U3415W) screen. Pricing and availability is unknown. 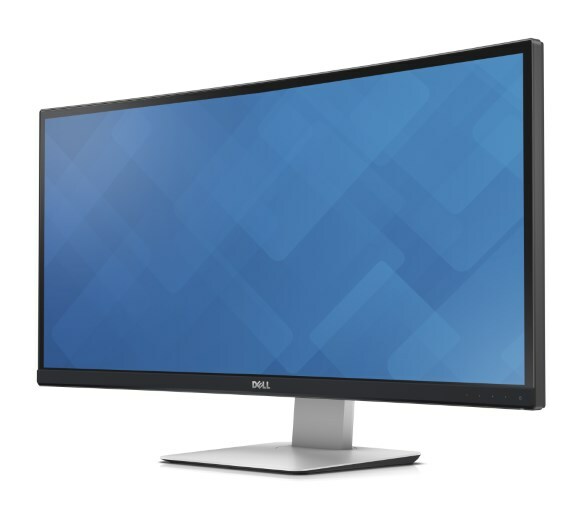 First previewed at Pax Prime in August 2014, the curved Dell UltraSharp 34 Monitor will be available for purchase Thursday, Jan. 8, on Dell.com. Users will enter new dimensions of gaming and multi-tasking with an immersive, panoramic, curved screen that surrounds the senses with amazingly detailed WQHD resolution. At 34 inches with a 21:9 aspect ratio, the U3415W is the ideal size for a curved monitor. The curved screen optimizes the field of view and minimizes eye movement to deliver a more comfortable viewing experience than a flat screen. Rich and engaging sound from the powerful 18W integrated speakers transports users further into the digital world, while connectivity features support multiple monitors and peripherals for massive screen real estate.